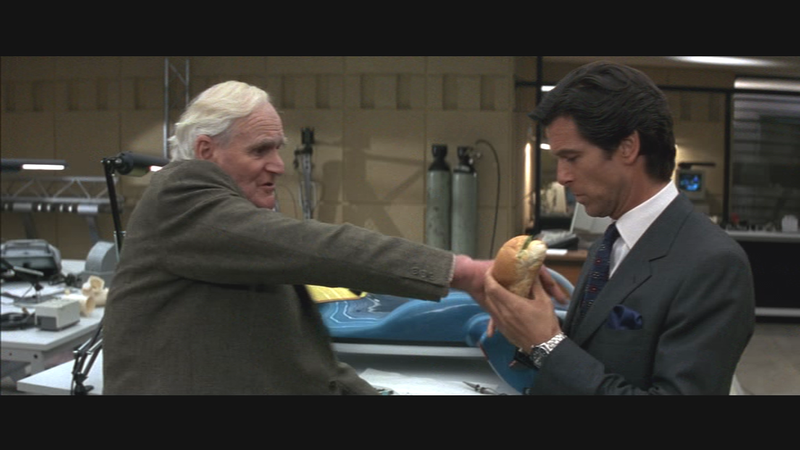 Obviously Bond does the old three clicks, and how long did you say the fuse was trick, but it is a brilliantly piece of script writing because unlike many trips to Q Branch, where the jokes are just lumped in, some thought was clearly put into this Act because it all seemed to flow naturally. They even manage to emphasise it. Further byplay, and an ejector seat demo in the background leads us on to one of the finest ever James Bond movie gags. After what was probably the best ever written Q branch visit the viewer is left with a warm, fuzzy feeling and the hope they would see the wonderful Desmond Llewelyn again in his amazing role as Q.